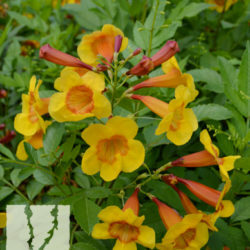 Tecoma has long been a hot garden favorite for its blooming habits, high heat tolerance, fast growth rate, and versatility in the landscape. 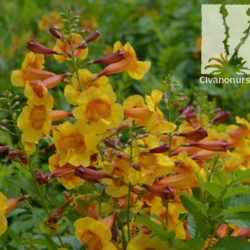 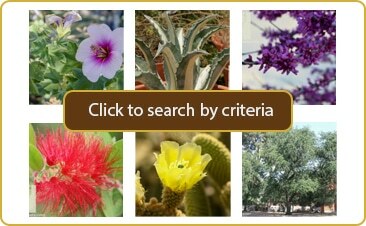 Developed in Phoenix by an esteemed horticulturalist and ASU professor, and named after the ASU mascot, ‘Sparky’ shows its school’s colors with large apricot yellow blooms that have reddish-orange throats. 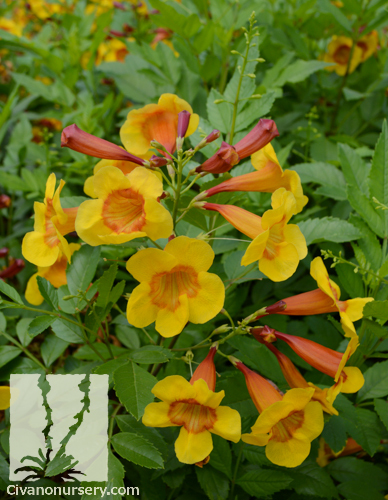 This designer hybrid produces few (if any) seed pods, so it looks tidy and attracts hummingbirds from spring through fall without the need for deadheading or pruning. 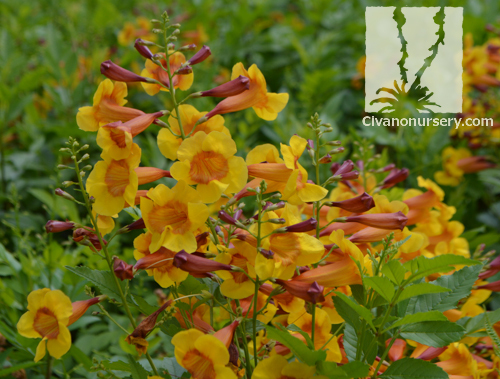 It stays more compact than standard Tecoma varieties, and has an upright habit that allows it to fit into tighter spaces, or anywhere you need a splash of summer color!